Pokemon GO players will be able to enjoy a series of events starting next month, which will allow them to catch special Pokemon in the wild. For just a few hours each month, players can go out and play together in local community parks on Pokemon GO Community Day. Niantic recently announced that during these community events, there's a chance to learn a previously unavailable move for that the special Pokemon you might encounter or its evolution. 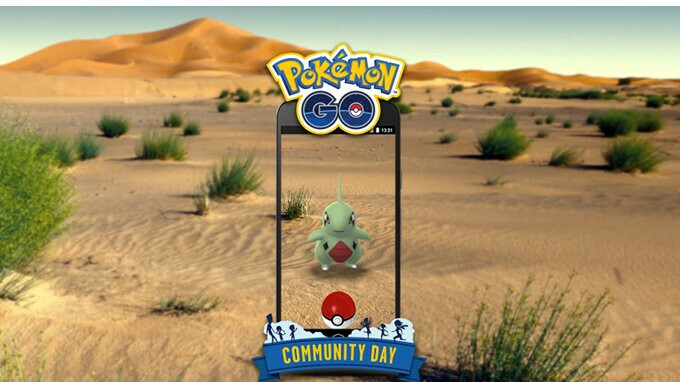 Additionally, Pokemon GO players can earn special Community Day bonuses. In case you're wondering how you can find these Community Day events in your town, Niantic states that you should basically Google-it. Search for your town and Pokemon GO on your favorite search engine, or simply find groups in your area on social media channels, apps and websites (Facebook, Discord, Slack, WhatsApp). To recap, during Community Days, you'll have a chance to encounter special Pokemon like Larvitar, learn an exclusive move of that Pokemon, as well as earn bonus XP and 3-hour lures.